“The first thing to figure out is did you have a tax liability problem? Or did you have a withholding problem? Was it losing the ability to itemize?” asked Jeffrey Porter, CPA and founder of Porter & Associates in Huntington, West Virginia. 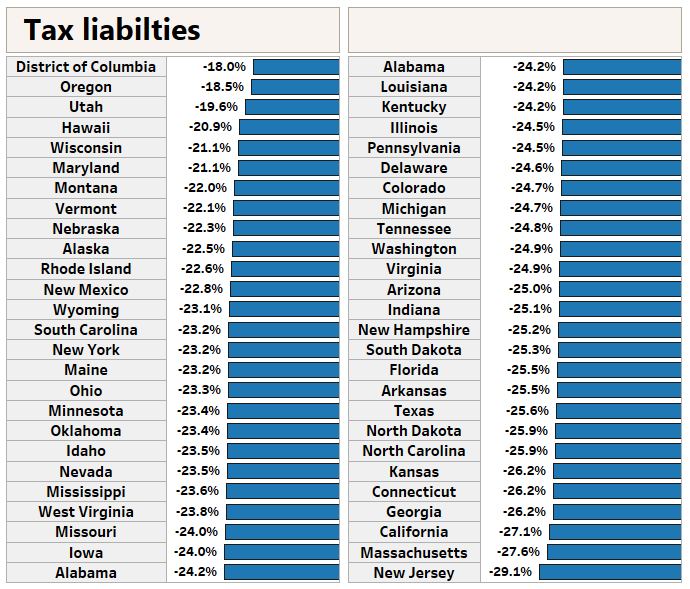 A decrease in liability alone isn’t necessarily a guarantee you won’t owe the IRS in the spring. For instance, if your tax liability went down in 2018, yet you also significantly didn’t withhold enough that year, you may end up owing. 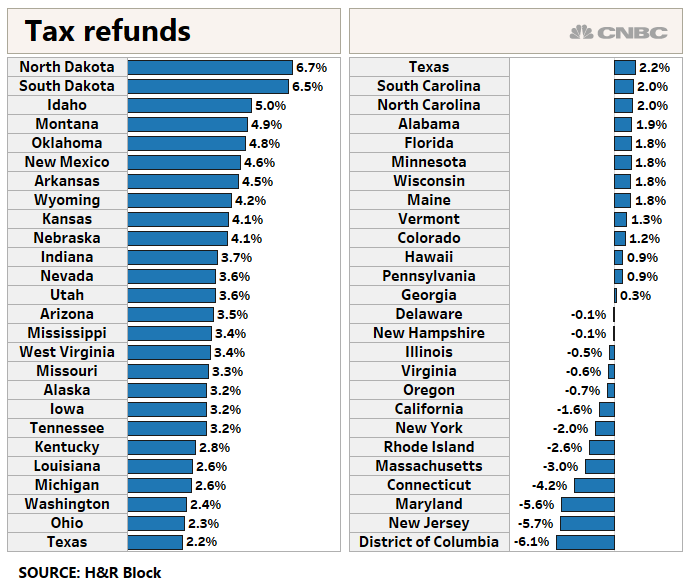 Taxpayers in New Jersey, home to some of the highest property taxes in the nation, experienced a 29 percent decrease in tax liability year over year, but that benefit wasn’t shared equally among all households, according to H&R Block. For instance, filers in the state who didn’t pay the alternative minimum tax last year but who paid high state and local taxes — and who didn’t have children — might be more likely to pay more taxes year over year, said Rigney. That’s because the state and local income tax deduction has been limited to $10,000, meaning people with high property and income tax bills can’t write off as much of the liability on their federal returns. Look at your withholding: If you failed to withhold enough tax in 2018, you’re set to be in the same position for 2019 unless you do something about it. Whether you’re a former itemizer, a W-2 employee with side-gig income or a household with dependents, it’s worth reviewing your tax withholding. Here’s another tax play at work: A dependent care flexible spending account allows you to put away up to $5,000 on a pretax basis to pay for care if you have kids under age 13. “Bunching” allows you to cram in two or more years’ of charitable giving into one year. This way, you itemize deductions every other year.